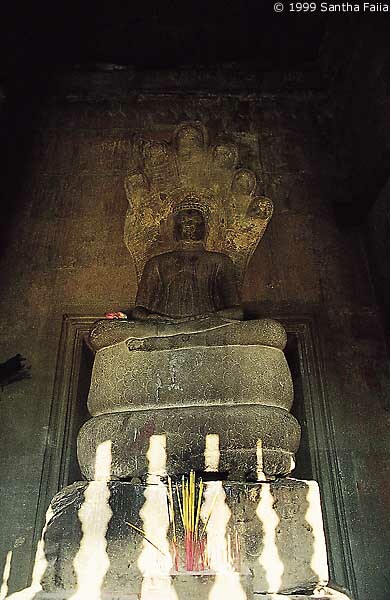 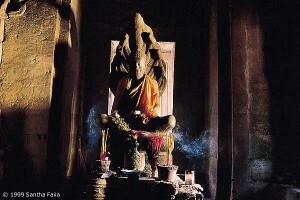 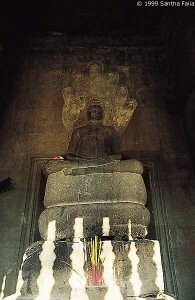 The Buddha in meditation - the Temples of Angkor are still places of active worship today. 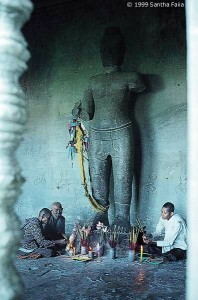 Cambodian Nuns at the feet of a statue of Vishnu. Detail of Naga - 'serpent' balustrade, Angkor Thom. 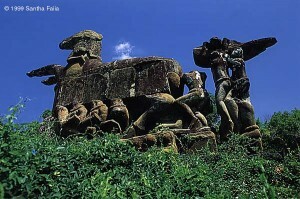 Is Garuda, the mythical birdman of the Hindus, here shown at Ta Prohm, to be compared with the Egyptian falcon-man Horus? 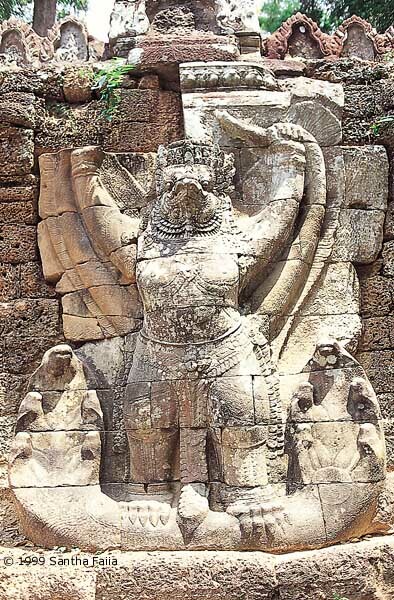 Such similarities between the two cultures are uncannily common. 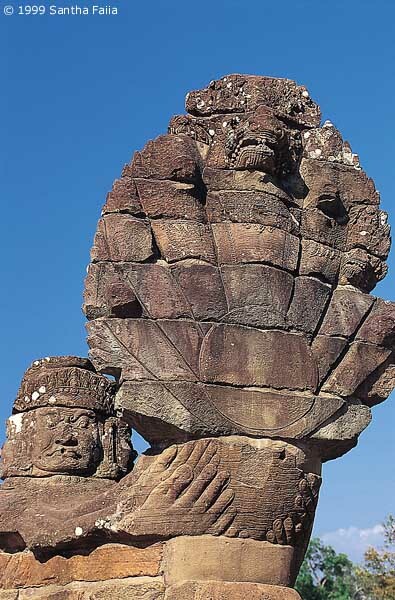 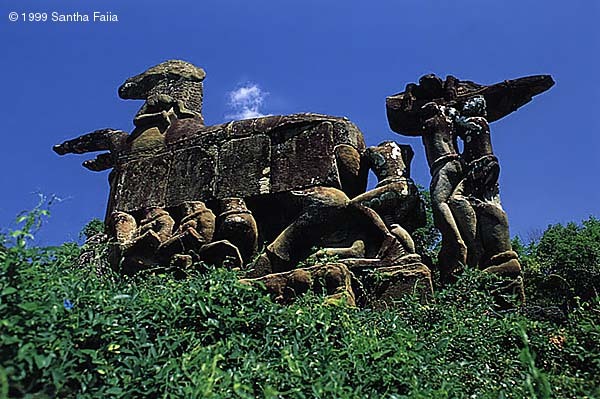 The Buddha resting on the coils of the Naga serpent Mucalinda, who sheltered the Buddha from a week long rainstorm by enfolding him in his coils - from Angkor Wat. 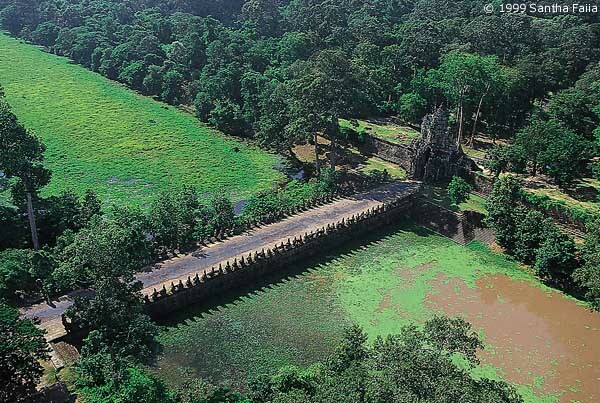 The moat of Angkor Thom, crossed by 108 powerful figures (54 each side) pulling gigantic Nagas in order to 'Churn the Milky Ocean'.